Bad news, guys: for the past few days I’ve had a pretty bad case of writer’s block. Seriously. It’s really, really bad. I’ve been meaning to put up a post for the past couple of days, but I just couldn’t make it happen. Every time I tried to start writing a post with something ‘meaningful’ to say, it just backfired and I would get distracted with something else. Usually I can manage to pair a recipe with some kind of vaguely interesting story, reflection or topic but today I’ve got absolutely nothing meaningful or interesting to say. But I still really wanted to put SOMETHING up. So I guess I can rattle off some random, meaningless tidbits of info to fill up white space. My twin sister’s getting married in September. I’m (naturally) one of the bridesmaids. Next Saturday I have to go shopping for a dress. Here’s hoping I can find a nice one. I’ve just discovered the show “Sherlock” and have been binge watching it on Netflix this weekend. It’s pretty good, I think. Benedict Cumberbatch was a good casting choice to play Sherlock Holmes. I got 2 new cookbooks for Christmas and have already made 2 recipes from them that I’ll be sharing on the blog soon enough. That’s 3 things about my life in general; I guess I can also share 3 things about this recipe. It was a really cloudy, gloomy day outside when I did this photo shoot. Thus, the rather unsatisfactory quality of these pictures. Just try and overlook it. 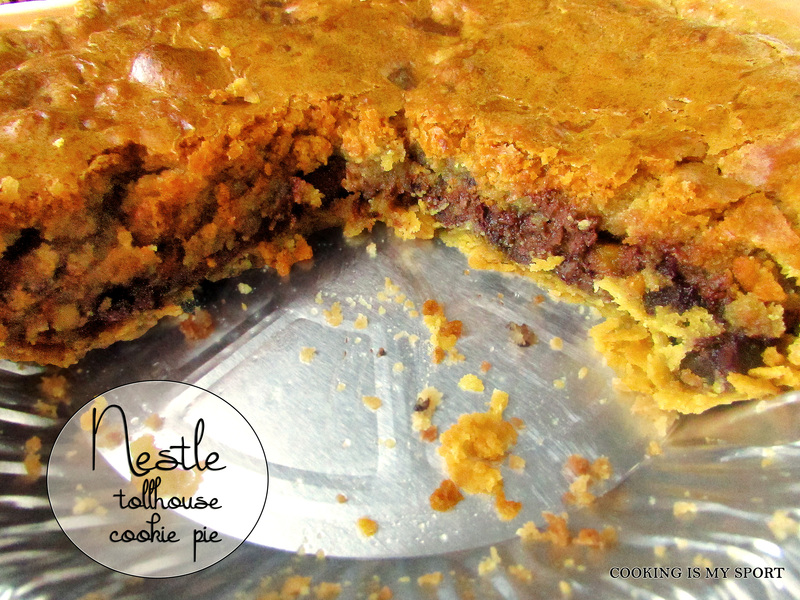 For those that have never had it, a Toll House Cookie Pie (particularly when it’s piping hot) tastes like the thickest, chewiest, gooiest chocolate chip cookie you’ve ever had. In other words, it tastes like a foodgasm that will make your eyes roll back in your head. Ice cream on top is also mandatory. 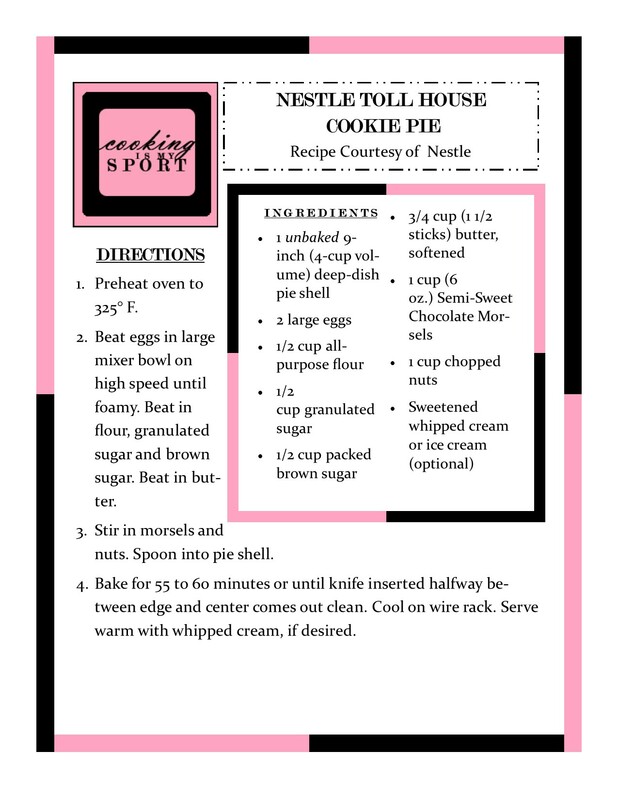 I used some walnuts in this that had been sitting in my cupboard for…a while. It wasn’t a good idea. Don’t get me wrong, nothing bad happened. The pie still tasted delicious. But still, a lesson was still learned: don’t use old nuts. For anything. I doubt there’s still anyone at the Fiesta Friday Party #50 this week, but I’m still dragging my late self there anyway. Thanks to Angie@TheNoviceGardener for hosting as always, and Selma @Selma’s Table and Sue @birgerbird for co-hosting. Don’t mind me, I’m just dropping off my little pie. Now if you’ll excuse me: I have an appointment with my sofa, blanket and a man named Benedict that I’ve got to be getting back to now…. 2. Beat eggs in large mixer bowl on high speed until foamy. Beat in flour, granulated sugar and brown sugar. Beat in butter. 3. Stir in morsels and nuts. 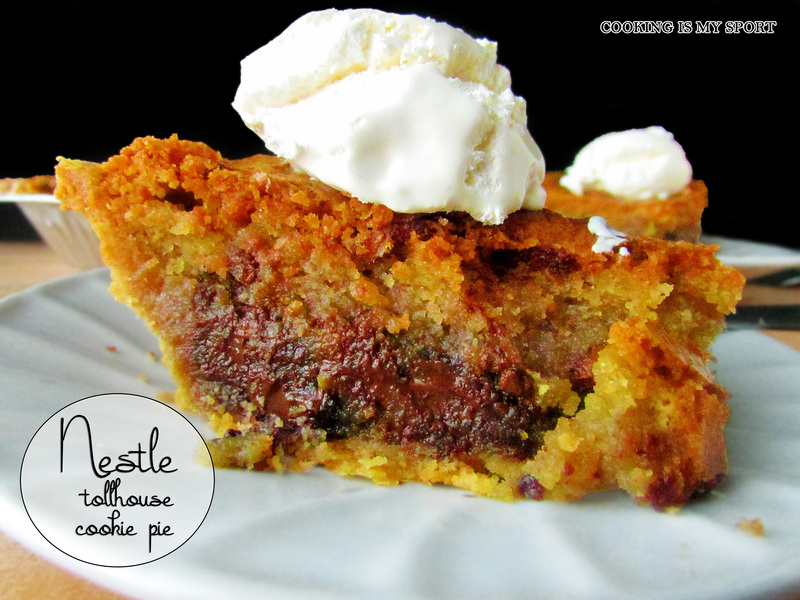 Spoon into pie shell. 4. Bake for 55 to 60 minutes or until knife inserted halfway between edge and center comes out clean. Cool on wire rack. Serve warm with whipped cream, if desired. Sometimes one just needs a break. Have a wonderful night. 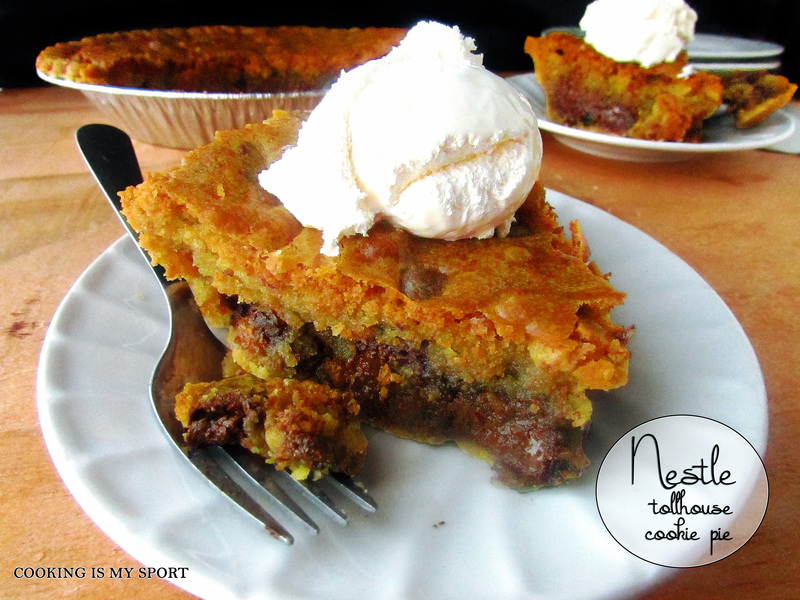 Reblogged this on Mary's Country Kitchen. Hahaha, you can try, but I guarantee if he finds it, he WILL demand it 😉 Thanks Debbie! I think so many of us are suffering from holiday hangovers. 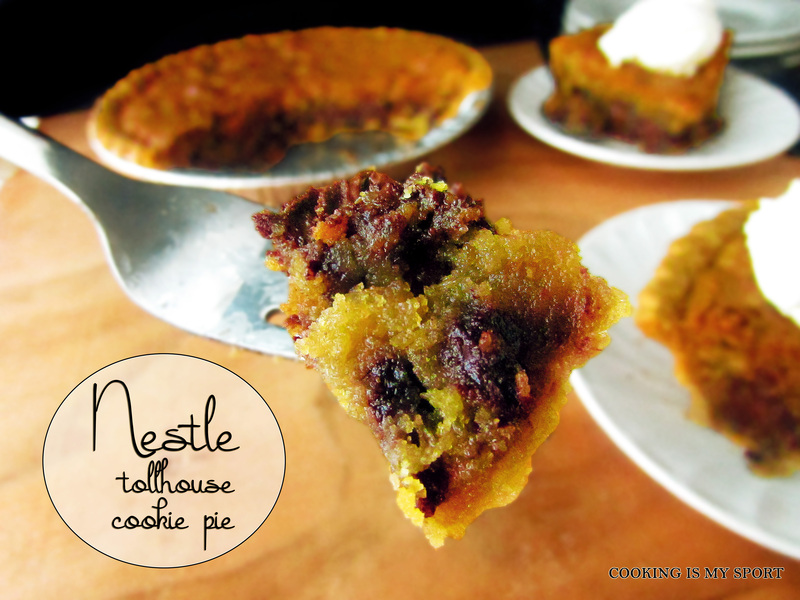 The toll house pie looks delicious! the struggle is real!!! seriously, you described most of my life in that second paragraph. i feel that so often! Well ya know, I’m my own toughest critic. It’s weird because usually with writing it’s hard to shut me up- but this time I just had nothin lol Thank you! Congratulations to your twin. And, wow, this looks absolutely delicious! Yeah, I really don’t even want to admit how much procrastination Netflix causes in my life. It’s sad. lol Thank you!